Charlotte Mecklenburg Library locations are proud to host official NC Science Festival events for children, teens and adults, like kitchen chemistry, 3D printing, rookie science, coding, the science of home brew, the great egg drop, astronomy and much more. The North Carolina Science Festival is a statewide, month-long celebration of STEM – science, technology, engineering and mathematics. The full schedule of NC Science Festival events taking place at Charlotte Mecklenburg Library locations is available at cmlibrary.org. Many events require registration, so visit the Library’s website, or call or visit your nearest branch for details. As an official 2018 NC Science Festival event, the programs held at library locations are among hundreds of community-based events showcasing STEM activities for citizens of North Carolina. “Science is fun, science is everywhere, science is for everyone – that’s what the NC Science Festival is all about,” said Jonathan Frederick, Festival Director. These programs support the Library’s mission of improving lives and building a stronger community. Visit cmlibrary.org to find exciting STEM programs near you. More about the NC Science Festival:Founded in 2010, the NC Science Festival is the first statewide science festival in the United States. During the month-long celebration, the Festival brings hundreds of events (hosted by schools, colleges, libraries, museums, parks, businesses and other community organizations) together under one banner to recognize the economic, educational and cultural impact of science in North Carolina. The Festival is presented by Biogen Idec Foundation and produced by Morehead Planetarium and Science Center at the University of North Carolina at Chapel Hill. For more information, visit ncsciencefestival.org. About the Charlotte Mecklenburg Library:The Charlotte Mecklenburg Library is one of America’s leading urban public libraries, serving a community of more than one million citizens in Mecklenburg County, North Carolina. Through 20 locations, targeted outreach and online, the Library delivers exceptional services and programs, with a mission to improve lives and build a stronger community. For more, visit cmlibrary.org. 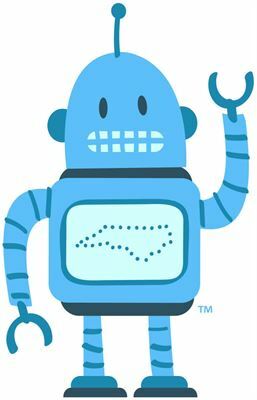 The NC Science Festival is a statewide, month-long celebration of STEM - science, technology, engineering and mathematics.